My name is Susan Henderson and I would like to welcome you to "Nancy's Trunk” dba Stitches Sewing and Service! Our original shop was located in Ripley, Oklahoma and had a reputation for a building filled wall-to-wall with quality fabrics, patterns, kits, too many notions to count and some of the friendliest staff you will find. In October of 2018, we opened a second store in nearby Stillwater, OK. Our Stillwater location is proud to be a full-service turn-key quilt shop and an authorized Bernina sewing machine dealer. 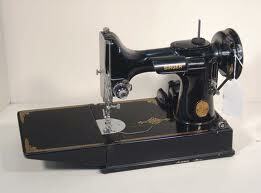 Our service department is trained to service and repair all brands of sewing machines. In December of the same year, we made the decision to move our Ripley store to Tulsa, OK to fill a vacancy in the quilting community. Our Tulsa store is a proud authorized Pfaff and Singer dealership and also has a service department that services and repairs all brands of machines. So that we may provide our customers the machine that is right for them, no matter their locations, we have also added a home demonstration service for all of the sewing machine brands that we carry. If you are interested in one of our brands and would like a private demonstration, feel free to contact either location to schedule your no-obligation demonstration. Our goal is to provide top-notch customer service to every single person that we meet! My husband Steve and I purchased Nancy's Trunk in 2017 and have enjoyed getting to know our customers. We have found quilters to be the most gracious customers and have quickly formed friendships we know will last a lifetime! Nancy Schlegel founded Nancy's Trunk and, although she recently retired, can still be found teaching the occasional class and running Nancy's Retreat. Below is Nancy's story and an explanation of how the "Trunk" became an icon of our quilt store. My Grandmother, Mary Jennie Linn Lathrop, taught me to sew on her treadle sewing machine when I was 10 years old. She was always working on a quilt. The Big Green Trunk became the symbol of our business because my husband bought this for me about 30 years ago. The story he was told when he purchased it was it came to Oklahoma in the Land Run. It was painted solid gray, inside and out. It took me weeks to get all the gray paint off but underneath the paint, the metal and wood were beautiful. Since it was an alligator grain metal covering I decided to paint it green and left the wood natural. It has been used for quilt storage all these years and now it has become the inspiration for the name of “Nancy's Trunk”.